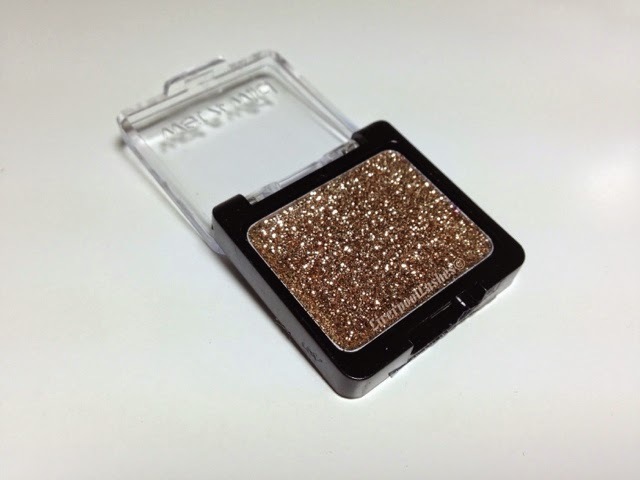 Today's post is on the Wet n Wild Glitter Shadow that I bought whilst in Ulta in Florida. As I've said before, I have an obsession with sparkly eyelids so when I found this eyeshadow for 99 cents there was no way I was going to leave it behind. 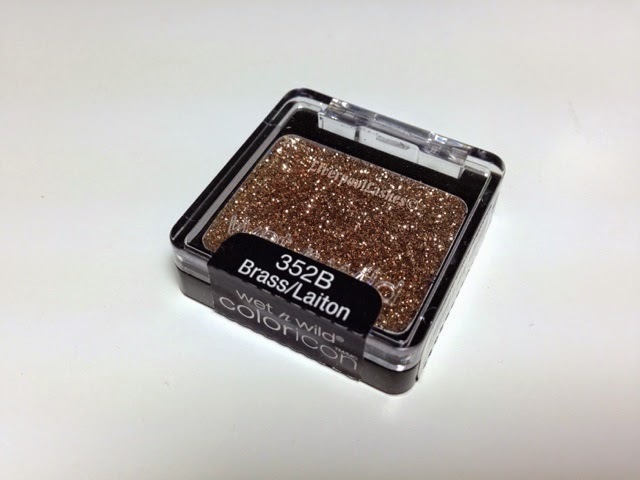 There were two shades, a red glitter which was beautiful but not for my eye lids and this pale gold glitter in shade "Brass 352B"
To be brutally honest, I had virtually no expectations of how it would actually work but for the equivalent of 60p I would have been happy with anything! 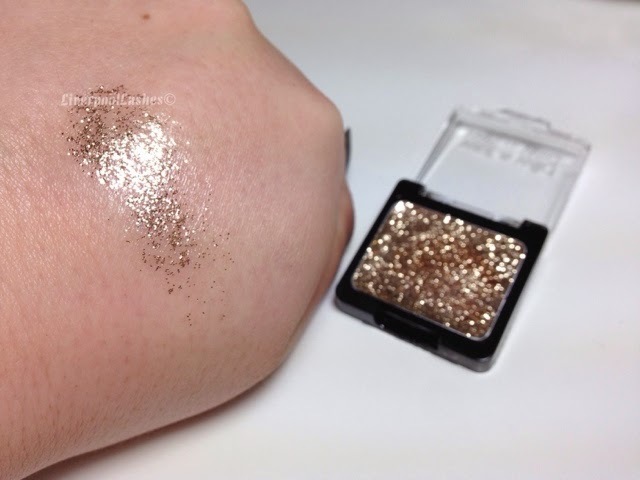 This eyeshadow is not something that I would personally wear on it's own as it's a sheer glitter. I did think that this would be the case with it so I always apply an eyeshadow underneath it for depth. The bottom line is... I honestly can't believe the low price of it and that a company can even manufacture a product that makes a profit from 60p! You literally can't go wrong with this shadow, its a bargain that can be used with all of my other shadows. That actually looks amazing, when I saw the first picture I thought it was going to be messy glitter but it looks really neat..